Markl & Sons is experienced with a complete line of digital thermostats, programmable thermostats and comfort controls to meet your needs. 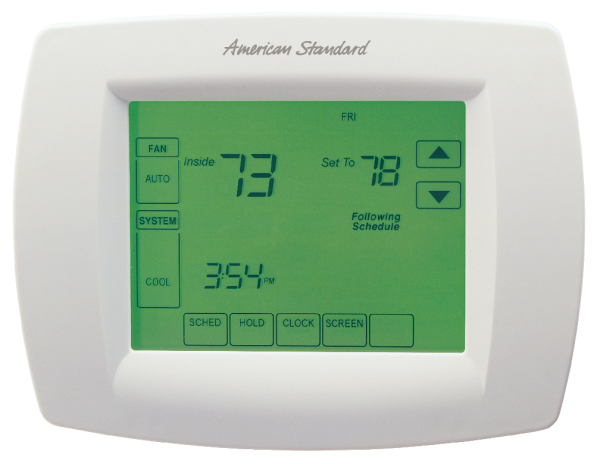 Programmable thermostats and comfort controls are designed to maximize the performance of heating and air conditioning systems with reliable, accurate temperature control. They’re remarkably easy to use, and they’re also easy on the eye. With an attractive, streamlined design, our thermostats will fit beautifully into any home’s decor. Let us help you select the model that’s right for your system and your lifestyle. According to the Department of Energy, a programmable thermostat can reduce your heating costs by up to 35% and air conditioning costs by up to 25%. Programmable thermostats allow you to manage your home’s comfort however you like – and when your comfort needs change, you can change your system settings quickly and easily. Most models offer menu-driven programming and effortless set-up. You can program each day separately with no need to copy multiple days and all programming can be done on one screen. The models we recommend are easy to read, easy to use and have large, clear backlit digital displays.